There’s a certain feeling that overcomes me as I’m about to finish something that I previously thought was impossible. 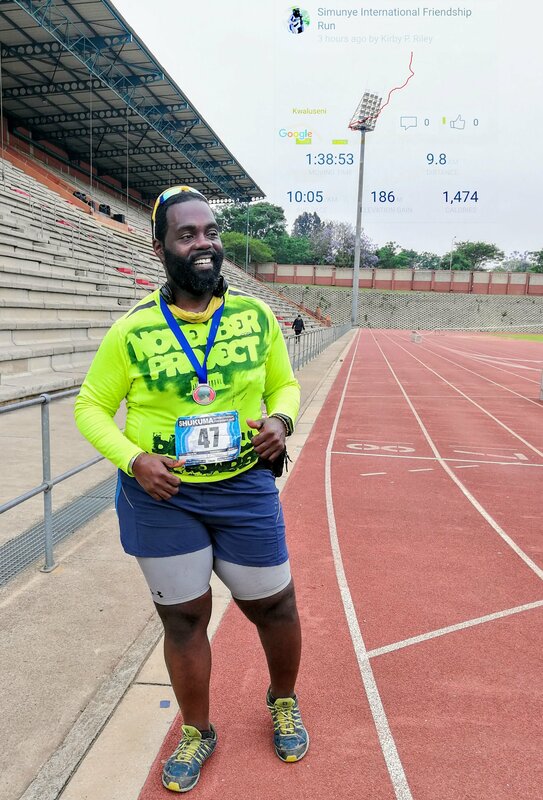 I experienced that feeling again this past Saturday morning as I approached the final stretch of the ten kilometer race known as the Simunye International Friendship Run. I had been toying with the idea of trying a 10K recently. When I tried to register for one at the beginning of October, I was told that registration was closed. I was secretly relieved. Last week, I informed some running enthusiast PCVs that I was thinking about the 10K coming up. The response was positive, and the idea grew more prominent. I finally asked another PCV to check on registration and deadlines. A few hours later, I received a message that I had been registered. Cue the uneasiness and terror. I was sure that I wasn’t ready. I was wondering when I had acquired masochistic tendencies. In case you’re wondering, I hadn’t actually been training to run ten kilometers (or any distance). I started googling 10K advice. I had some slight concerns that I might actually die on the course. I tried calming myself. Another running PCV offered the advice, “just keep moving”. On race day, we arrived early and were shuttled from Manzini to a rural community in central Swaziland to begin the race. Most of the race was on gravel and dirt roads. Luckily, I had put together a 10K playlist. The music pushed me through the rough points and hills. Other runners helped as well, giving thumbs up as they raced past me. After more than nine kilometers, the end was in sight. Seeing the finish line gave me extra energy. Surprising myself, I finished. I ran ten kilometers! My legs will be taking a much deserved break over the next week or so. Who knows what my low barrier for suggestion can lead to next? P.S. – As you can see, I received a medal. This was the wrong medal (for the 21KM race). I exchanged it for the proper one. I did not run a half marathon. She dances with the wind. Maybe God is in the ocean. Just happy he got his surfs up. As long as you come like us. But you can’t be both. of me do you see?